According to new rules in Ukraine for citizenship of Nepal, Thailand, Australia, (full list) there is an opportunity to get electronic visa (E visa). 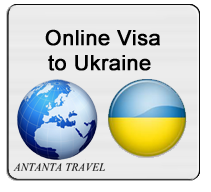 Touroperator “ANTANTA TRAVEL”, provides full visa support service (invitation, insurance etc) which give you opportunity to get electronic visa to visit Ukraine for purpose of tourism . To obtain E Visa you must have an invitation ("Tour Visa package"), on the basis of which you will receive a visa. Get visa on your mail. Your @- mail address to send for you scan of Full “Visa tour package”. Copy of the bank guarantee in the amount of EUR 20 000. * Also our company provide service of meeting in airport. Scan of a document confirming the availability of sufficient funds to cover the costs of an intended stay and return to the state of origin or transit to the third state, or ability to legally acquire sufficient funds in the territory of Ukraine. After you make payment in 20 minutes we will send you scan copy of your invitation (“Tour Visa Package”), you just need to upload it for visa. Through bank transfer according to invoice (SWIFT). After your invitation is ready and you collect all necessary documents you can apply for online visa. Step 4. Pay the fee (65 USD) by MasterCard/Visa card. All e-Visa applications are processed within 9 business days, e-Visa or visa refusal letter is sent to the applicant’s email address. Important note! E-Visa is sent in pdf format . *Our office work without holidays from 9:00 till 18:00. **If you want you can order delivery of originals of your documents to you by Aramex. Cost of this service is extra 60 USD. ***Online visa do not extending. ****You can get new visa after you crossed of the border of Ukraine in any direction.